EFI's latest acquisition of privately held print software provider, Shuttleworth Business Systems Ltd, reinforces EFI's position in the UK MIS market. While financial terms of the acquisition were not disclosed, it is not expected to be material to EFI's Q4 or full year 2015 results. EFI is the global market leader of innovative end-to-end certified business and production workflow software to the commercial print, publishing, and packaging industries. 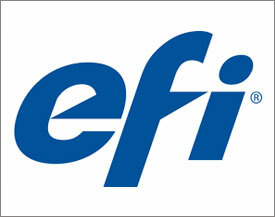 The addition of Shuttleworth will further extend EFI's leadership in the UK market.